More than 650,000 Rohingya refugees have fled violence in Myanmar and crossed the border to Bangladesh since August 2017. The Rohingya are often described as "the world's most persecuted minority". They are an ethnic group, majority of whom are Muslim, who have lived for centuries in the majority Buddhist Myanmar. Currently, there are about 1.1 million Rohingya who live in the Southeast Asian country. As a stateless Muslim minority group in Myanmar, they have faced discrimination, violence and extreme poverty for decades. Most have walked for days, bringing with them harrowing stories of violence. People arrived in overcrowded makeshift camps. They are sick, exhausted and in desperate need of food, water and medicine. Many are also clearly traumatised by their experiences. 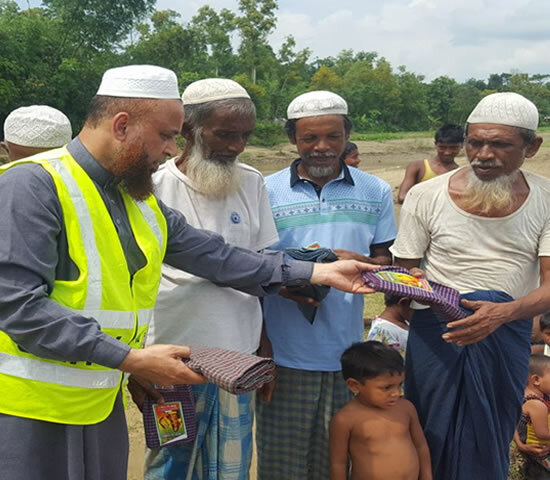 As the crisis erupted Unity Welfare Foundation immediately opened up series of projects to help the Rohingyas in Refugee camps, Namely in Ukhya, Kutupalong and Shahpori district of Cox’s Bazar in Chittagong. Our Team was quick to respond to the crisis. As the refugees arrived we started building the shelters, toilets and water supplies. We assisted them with clothing food and medicine. People are crossed the border during the day and night. Children never slept for days, they are weak and hungry. Many children without their parents, they need special care and protection.